Too much to say to fit into one page! I'll break it into four, as per the links on the left, or just click NEXT at the bottom of the page. 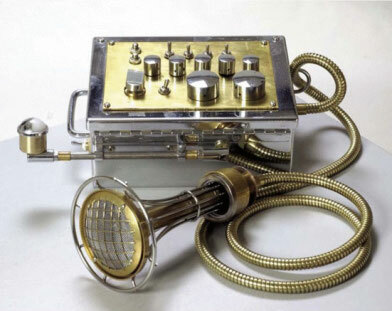 After the success of Worldshaker and Liberator, my next novel was always going to be steampunk. It's the genre I love best - the dark poetry of 19th century urban scenery intensified by fantasy, the power and beauty of old-fashioned machinery imagined in even more intricate and fantastical forms. Now that I can finally get it published, for sure I'm going to keep writing it! At first, I thought I ought to be producing a sequel to Liberator, and I thought my publisher would want that too, but my imagination kept getting sidetracked onto a different storyline. Song of the Slums is set in the same alternative 19th century world as those two previous novels, but at an earlier period. What really hooked me was a kind of hypothetical: what if rock 'n roll had been invented way back in the 19th century? The idea had a special appeal for me because I once used to be a muso, sometimes playing solo, sometimes in a band. Playing melodic folk-rock rather than hard rock – and although I wasn't bad as a songwriter, I was an average singer and a hopeless guitarist. Yet I still remember the sheer adrenalin thrill of being on stage, interacting with an audience and getting completely swept up in the music. As a band, we never climbed past the first rung of the ladder to success, but we had our moments of glory – and moments are all a writer needs to imagine the rest! 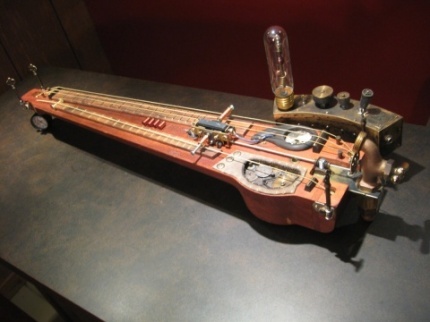 I limagined a 19th century rags-to-riches 'success story,' and a kind of music with an irresistible, pounding rhythm, played on steampunk instruments. 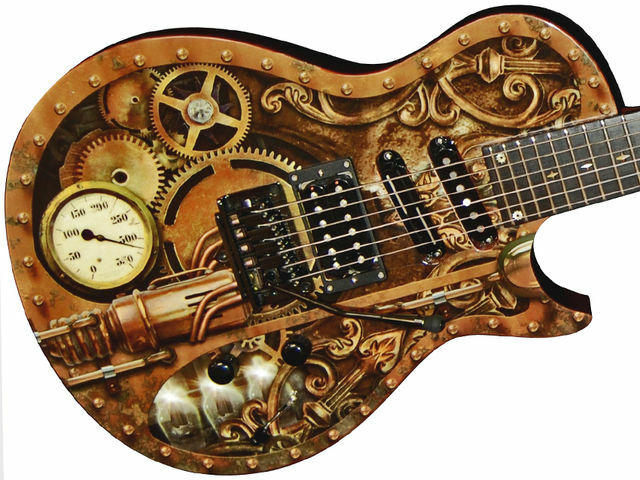 That was the other half of the inspiration: the amazing steampunk versions of electric guitars that steampunk artificers have created. 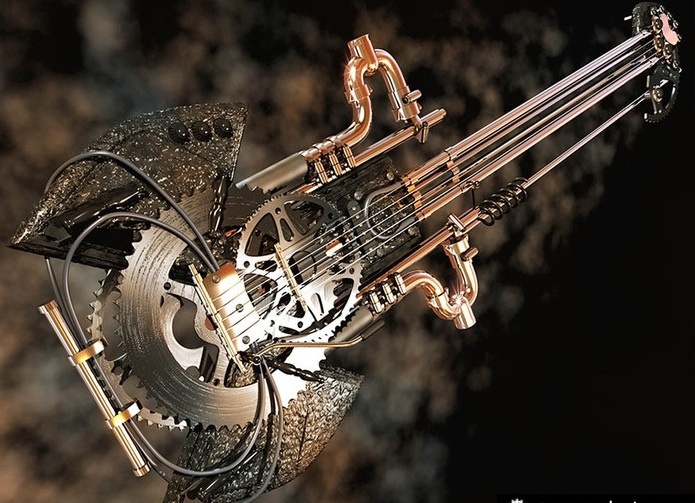 Real guitars that really play, but dollied up with pipes and cogs and every kind of old fashioned gizmo, looking as if they come straight out of the steam age. I wanted to write the story that would give them an origin and history! The beauty of this storyline in this particular setting is that the juxtaposition of band and audience is magnified a hundredfold. Think how society in the 1950s reacted to rock 'n roll – and how society has often reacted to every unsettling musical development since – and then imagine how the utterly prim, proper and respectable society of the 19th century would have reacted! The shock, the outrage … and the sneaking fascination! When I pitched this storyline to my publisher, it turned out that she wasn't in any hurry for a follow-up to Liberator after all. This other novel that I thought was distracting me from what I ought to be writing turned out to be the one to write! Of course, things changed in the writing … the success story grew more complicated, just as success is in real life. While the band achieves a 19th century version of mega-stardom, they're also caught up in exploitation, compromises, selling out, etc. They do win through to a huge success in the end, but not quite the same as the original success that Granny Rouse dreamed of for them. Here below is a photo of a modern day steampunk band called Abney Park - all dressed the part!